America is starting to become a hotbed for wild card Claiming Rule Team entries in MotoGP. First there was Attack Performance getting awarded a wild card for the U.S. Grand Prix at Laguna Seca and the Indianapolis Grand Prix at The Brickyard. 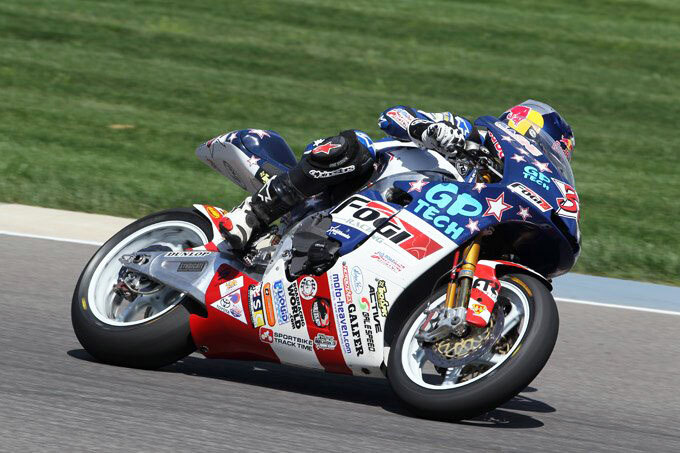 Indianapolis Motor Speedway will see another U.S.-based wild card, this time it’s Indiana-based GP Tech preparing its own CRT machine. GP Tech has drawn wild cards at the Indianapolis Grand Prix before, in the Moto2 class. In 2010, GP Tech prepared an FTR chassis for Jason DiSalvo and in 2011, GP Tech prepared another FTR race machine for Jake Gagne. DiSalvo finished ninth in the 2010 race while Gagne (pictured above) was 31st in 2011. 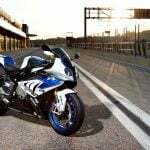 This time, GP Tech is taking advantage of the new CRT classification to compete in the premier MotoGP class. While Attack Performance is mounting a Kawasaki ZX-10R engine in a custom-built frame, GP Tech is teaming up with the Vesrah Suzuki/MCJ Motorsports team to build a race bike powered by a Suzuki GSX-R1000 engine with a billet aluminum frame by BCL Motorsports. Preparing a MotoGP race bike takes a lot of development time, so it’s no surprise GP Tech has been working on it since January. The team kept the project quiet until it secured a wild card. GP Tech hasn’t selected its rider yet, though it says it will have a short list of possible riders soon.